This book is a biography with a difference. Michael Lewis paints a vivid picture of how Daniel Kahneman and Amos Tversky developed as individuals, and more significantly how they developed together, to generate such significant and game-changing ideas and theories. The author is not a psychologist, but has published a number of books along the theme of the fallibility of decision-making (e.g. Moneyball). 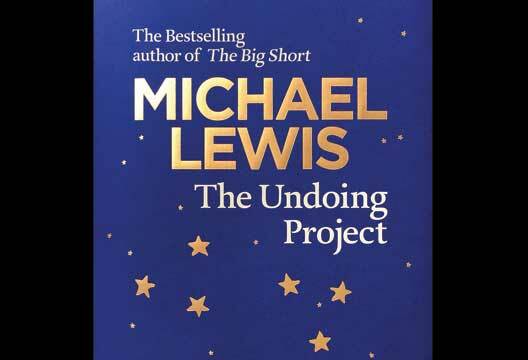 As well as describing the theories that Kahneman and Tversky produced, Lewis touches upon a wide range of themes, all of them interesting in their own right. He covers how professions can get stuck in their thinking – how the breadth and diversity of psychology meant that it was disjointed as a profession and subject, and how economists were holding on to a model of behaviour that had no grounds in reality. He also explores creativity by way of describing how Kahneman and Tversky generated ideas, the energy that that produced and how their thinking developed in small steps and giant leaps. Lewis reveals each of their personalities in depth throughout their life stories, and how elements of their character helped and also hindered them. And lastly he unpicks endings – how their partnership lost its spark, how they needed to separate but still had a pull to be together. On any of those counts, it would be worth reading, but the most important theme throughout this book is about what happened between Kahneman and Tversky – the dynamics of what was an highly intense (but non-romantic) relationship. Lewis has a way of beautifully describing the magic that happened when they were together: ‘…they didn’t even want themselves in the room. They wanted to be the people they became when they were with each other’.